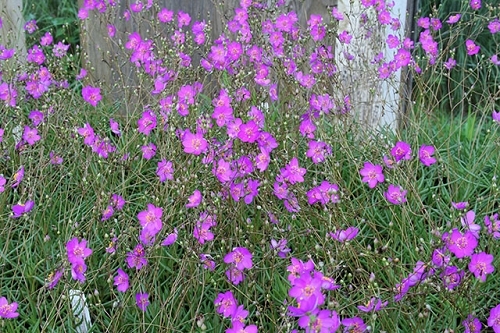 Good for border or groundcover where short "evergreen" species are needed. Reproduce by tip cuttings. 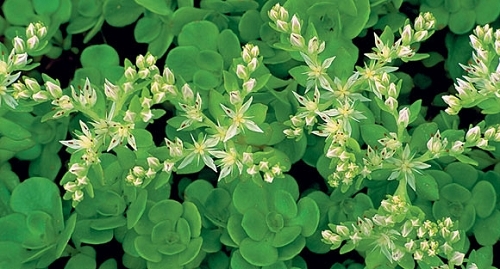 An easy-to-grow plant and an excellent choice for container gardens. My stonecrop easily survived the winter and is starting to grow well and bloom. 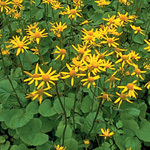 It has proved to be hardy and virtually care free in its partial shade location. 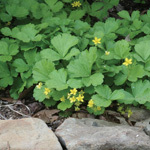 I strongly recommend it to anyone in need of a short, hardy, evergreen ground cover. Q: I have woodland edge, south facing slope. Will this work? A: This species will thrive in shaded, rich soil. We've grown it in areas where it gets more sunlight than it needs and it seems to do fine. That said, Roundleaf Groundsel (Packera obovata) would probably be a better choice if your slope gets afternoon sun and gets extremely dry. Q: Can this be planted in the fall?